Advanced Materials are materials that are either designed or processed using new methods or modified concepts that led to paradigm shifts in understanding, and have vast potential for application in niche areas. Metallic glasses, quasicrystals, nanostructured materials, fullerenes & carbon nanotubes, biomimetic materials, functionally graded materials & smart materials, structural & complex intermetallics all find their special place in the development of advanced materials. Design methodologies such as first principles calculations, Monte-Carlo simulations and CVM for thermodynamic modeling of phase equilibria, advanced processing techniques such as rapid solidification, mechanical alloying/milling, severe plastic deformation, spray forming, and advanced materials characterization techniques such as HRTEM /HAADF,scanning probe microscopy, X-ray and anomalous X-ray diffractometry, texture analysis using electron channeling patterns, play a very important role in the development of new materials. Therefore, this conference aims to bring together ideas and researchers contributing to these diverse aspects of advanced materials. Limited accommodation is available in BHU guest house complex at nominal charges and young researchers/doctoral research scholars may be given hostel accommodation. These will be made available on first-come-first-served basis. 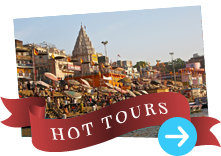 Varanasi being a tourist destination has a wide range of hotel accommodation available to fit into participant's budget. Local organizing committee will assist the participants in this respect. The city of Varanasi (also Banaras) is known as the city of light (kashi) from times immemorial and has been home to several distinguished philosophers over centuries. 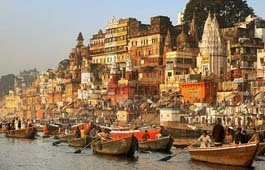 Varanasi is also credited to be the oldest living city in the world. The antiquity of the city has been aptly described by Mark Twain as "Benares is older than history, older than tradition, older even than legend, and looks twice as old as all of them put together!". Varanasi is an important destination for many international and national tourists. It has in its surroundings many historical places like Sarnath (the place where Buddha gave his first sermon to his disciples after attaining enlightenment at Bodhgaya), Ramnagar Fort and Ganga ghats. 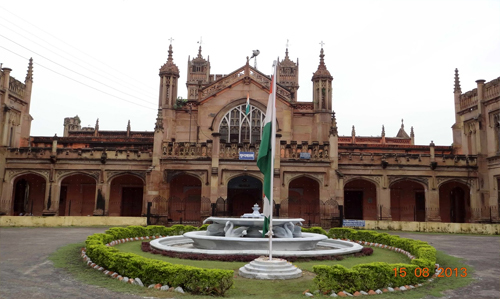 Bharat Kala Bhawan in BHU campus hosts a large collection of artifacts of archeological importance. The city (airport at Babatpur, 35 Km) is connected to Delhi by three flights and to Mumbai by two flights a day. 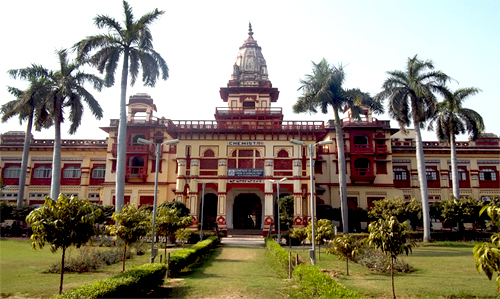 The BHU campus can be reached from Mugalsarai (15 Km) or from Varanasi Cantt (10Km) railway station. The Banaras Hindu University has a vibrant academic atmosphere in a beautiful campus close to the banks of the holy and eternal river Ganga.It is the largest residential university in Asia. The university has 127 teaching departments covering a wide spectrum of human knowledge. Many pioneering contributions have been made in diverse fields of Metallurgical Engineering and Advanced Materials by the faculty and researchers here. Sanskrit is the most ancient and perfect among the languages of the world. Its storehouse of knowledge is an unsurpassed and the most invaluable treasure of the world. This language is a symbol of the peculiar India tradition and thought, which has exhibited full freedom in the search of truth, has shown complete tolerance towards spiritual and other king of experiences of mankind, and has shown catholicity towards universal truth. This language contains not a rich fund of knowledge its international significance and to keep intact traditional scholarship and to strike a compromise between India and western outlooks and to conduct research and study the various aspects of culture and spiritual literature, this university was founded on 22 March, 1958 by the then Chief Minister Dr. Sampurnanand and Education Minister Pt. Kamalapati Tripathi at Varanasi, the oldest cultural city of India, with the name of `Varanaseya Sanskrit Vishwavidyalaya', Dr. A.N. Jha is its first vice-chancellor. It was renamed as Sampurnanand Sanskrit University under the U.P. State University Act, 1973, w.e.f.16th Dec. 1974. The University has since been proceeding along the set path of the programme while trying to achieve its goal. If its former shape "Govt. sanskrit College" is included it has an excellent history of about 205 years. The history of the Sampurnanand Sanskrit University includes history of the Sanskrit Education itself. The guideline set by the glorious past of the Govt. Sanskrit College, Benares has been most appropriate for the University. Under a proposal if Sri JonathanDuncan, the then resident of East India Company and the approval of Governor General Lord Carnwalis, this Govt. Sanskrit College was established in 1791. Pt. Kashinath was its first teacher and Acharya. There was an arrangement for the teaching of subjects such as Veda, Vedanta Purana, Ayurveda, Sahitya, Astrology, Theology, Mimamsa, Nyaya, etc. The college was conducted with the surplus revenue of the Benares State which was first deposited in a special account and later remitted to the general head of education. In 1844, Sri J. Muir, ICS, was made its first principal Effortswere made to develop the college in various respects. Dr. J.R.Valentine developed the spirit of a comparative study of oriental and occidental classics and specific sanskrit texts were translated into English in order to achieve this goal. Dr. Valentine established an Anglo-Sanskrit Department with this end in view. In 1861,Dr.R.T.H.Grifith was appointed its Principal. He was the first scholar who translated the valmiki Ramayan into English verses. A reasonable achievement was made in the direction of development, preservation and advancement of Sanskrit learning during his principalship. The publication of `The Pandit' - `Kashi Viva Sudhanidhi' was launched which contained translations of many rare Sanskrit texts. The publication of this magazine continued till 1916. During the Principalship of Dr. G.Theibo the system of oral examination was abolished and the system of written examination as well the issue of certificates and degrees was started. During the period of Dr. Arthur Venis (1888-1918), the publication of Vijayanagara series of Sanskrit texts was accomplished. In 1909, the post of Examination Controller was created. In 1904, an effort was made to give it the name and form of university. Efforts were made to collect, preserve and publish Sanskrit manuscripts which resulted in the establishment of the "Saraswati Bhavana" library, which is most reputed and well known in the whole world. During the principalship of Dr. Ganga Nath Jha (1918-1923) the publication of "Saraswati Bhavana Granthamala" and "Saraswati Bhavana Studies" was started and specific Sanskrit texts based on deep research were published which marked a remarkable approach in the direction of study and dissemination of knowledge inherent in Sanskrit texts. Moreover, a Board of Sanskrit Studies was set up to conduct examination. Mahamahopadhyaya Pt. Gopinath Kaviraj (Principal - 1923-1937) contributed significantly through translation and publication of specific texts as well cataloguing of manuscripts. In 1937, another effort was made to give it the name and form of a University but it could not materialise until 1956 when Varanaseya Sanskrit University Act was passed. It is remarkable that this college performed all those acts which an all India University is expected to do. Convocations were held between 1947 to 1958 every time in the manner of a University. The Sanskrit Colleges of this Country and that of Nepal were affiliated to this college even before this University was founded. the number of affiliated colleges in U.P. alone was 1441. Thus this college acted like a University not only for this country but also for other countries Pandit Kuber Nath Sukla was the last principal of the Govt. Sanskrit College. He was also the first Registrar of the University.